Today I'm welcoming Barbara Silkstone with a guest post about her new book, which is a mash up of Pygmalion (which is the basis for My Fair Lady) and Pride & Prejudice. Read on for Barbara's guest post, which also includes the book description, and a giveaway for both US and international readers! Ideas are like bits of dandelion fluff; they float around on soft breezes slyly touching authors at the same time, no matter where those authors reside. Most writers of Jane Austen Fan Fiction will tell you of their chance encounters with these airborne fantasies. Recently, as I put the finishing touches on MY FAIR LIZZY, a lighthearted mash-up of Pride & Prejudice and Pygmalion, I noticed that Riana Everly was readying her new release: same title ~ same mash-up. We connected and compared. Our approaches were different, our tales were not the same, but we were both polishing the same beloved story to meld happily with the world of Darcy and Elizabeth. Authors will share their tales of oopsie daisy with other authors and what can be done to avoid a collision. Riana had an alternate title in her pocket and her My Fair Lizzy has now become TEACHING ELIZA. Happily, Riana will be here at Babblings of a Bookworm on October 23rd to share her new release with you. Check out how two different authors approach the same mash-up. Lizzy Bennet, a sassy London shop girl is instantly attracted to Fitzwilliam Darcy, the arrogant, handsome visitor to the Bennets’ struggling Covent Garden flower shop. Darcy insists on purchasing Lizzy’s lucky orchid as a gift for his aunt, Lady Catherine de Bourgh. Will Lizzy sell her family’s much needed good fortune to the haughty know it all? Complications arise when Darcy accepts Bingley’s wager to make a sophisticated lady out of the humble flower girl. Can Lizzy endure Darcy’s mentoring in order to save the Bennet family’s flower shop? Will Caroline Bingley tolerate Darcy’s peppery new student? Will Wickham finally bring about Darcy’s ruination? This is a light-hearted tale of a headstrong, London lass (Lizzy) whose drive to achieve more than life has handed her compels her to accept the position of pawn in a wager between two friends, (Darcy and Bingley). Gumption meets true love. A fun read for all those who have ever enjoyed George Bernard Shaw’s Pygmalion. This was coming together nicely, Bingley thought. The sisters did understand what they lacked. He could not lose, for no matter the outcome, he would ingratiate himself with Miss Jane Bennet. He began to explain to his guests the details of his wager with Darcy, softening his words so as not to offend. He suggested Lizzy play student for Darcy. Bingley sweetened the proposal by saying that he would pay for the lessons and all the expenses including her gown because she would be expected to attend Lady Catherine’s birthday gala acting the part of a noblewoman. “We must strike while the wager is on the table!” His countenance took on the appearance of a mischievous little boy. The sisters exchanged amused looks. They knew from observation how men could become completely engaged in a bet. Bingley had dared Darcy to educate a person of low class and pass that person off as titled nobility. She was being offered the position of pawn in their contest. Although Lizzy was certain that a gentleman of Mr. Bingley’s stature could never offer for a lady who lived in Cheapside, she could not silence the little voice deep inside of her that spoke of Jane’s future. The more acceptable arrangement might have been for Darcy to tutor Jane, but Bingley wished to keep her to himself. He was astute enough to know that one sister would learn and the other would imitate her. He did not wish Jane exposed to his friend’s quirks of ego, whereas he rightly perceived Lizzy Bennet was more than Darcy’s equal. Seizing the opportunity, Lizzy said, “Can Mr. Darcy really teach proper speaking to someone like me? I was born within the sound of the bells of St. Mary-le-bow. My speech is as much a part of me as my willfulness. I fear Mr. Darcy and me shan’t get along very well,” Lizzy said. “He is well studied,” Bingley answered, not willing to tell them that Darcy had never instructed anyone but his own sister, Georgiana. And worse yet, Darcy assumed Bingley’s choice of a student for their wager would be a lad. “I’m afraid Mr. Darcy did not take to me. He is not the warmest of gents,” Lizzy said, frowning. “Darcy takes some getting accustomed to, but I believe he will make an excellent mentor for you. However, you must work very hard, and be very patient with him. It will not be easy. I am interested in seeing this experiment through, and actually wish Darcy success. I have no other motive.” Bingley tried not to look at Jane as he uttered a slight fib. “Let us go encounter the bear in his den, for he expects me this afternoon,” Bingley said. He gently guided them to the door and into his waiting carriage. The change in their fortunes was all happening so quickly, Lizzy felt spun around and topsy-turvy. She would have insisted on asking her parents’ permission before even listening to such an offer, but they were caught up in their own troubles and this opportunity would not wait. They were off to Darcy House. 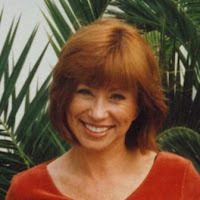 Barbara Silkstone is the best-selling author of both Regency Pride and Prejudice variations, including the popular the MISTER DARCY SERIES OF COMEDIC MYSTERIES ~ PRIDE AND PREJUDICE contemporary variations. 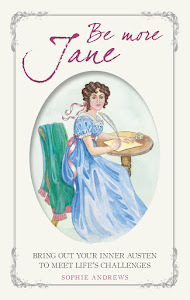 All her books are light comedies based on Jane Austen's timeless tales of love denied and love discovered. "Feel good" tales to warm your heart. Please post a comment by the end of the day on Sunday October 22nd to qualify for the drawing. 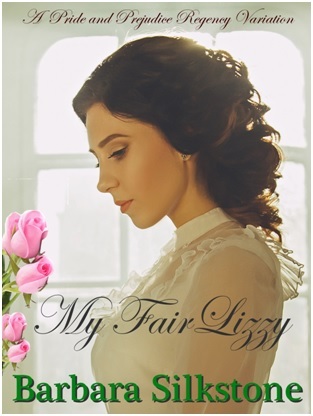 One winner will received a signed paperback copy of My Fair Lizzy (US Only) and one winner will received an ebook version of My Fair Lizzy (outside the US.) Winners will be announced during the week of Oct. 23. The book is available to buy now! Oh my this sounds like fun! Many thanks for the excerpt. tea guide, You are so welcome. I am glad you enjoyed the excerpt. Sounds like a fun read! Thanks for the chance to win a copy! Pamela, Thank you so much for commenting. It's such a fun idea to have a mash up of these two stories, isn't it. I'd be interested to see what the other Bennets think of Lizzy's transformation too Vesper. Hi Unknown! I hope you do get around to reading about Lizzy's makeover. I am really looking forward to reading this. It sounds delightful. I did notice the promo for the other book recently. It was so nice that she was willing to change her title. How wonderful that you could compare notes and see where you both approached the story from different angles. Good luck on this launch. It was quite a surprise when we discovered each other, but ideas are like that. I am positive mine come to me like Harry Potter's owl, flying in the window and dropping the idea in my lap. Perhaps the owl made two visits in one day. It was a lovely way to make a new friend. Hi Jeanne. I think these two authors have been so gracious in their approach to the fact that these books have coincided. It was fun to compare stories and see where we converged and where we differed. Bravo, Barbara, on a fun and engaging read. Riana, This is such a delightful experience. Two versions of the same tale—similar and yet so different. Sending you giant hugs and wishing you all the best with Teaching Eliza. Hi Riana. It must have been interesting to see how differently another author put these two novels together. This does sound interesting. I always liked the movie. I will have to read this. Sheila, Thank you. The movie was so delightful. We are working on the audio version of My Fair Lizzy right now. I am absolutely tickled with the way my amazing narrator, Jannie Meisberger is giving Lizzy just a touch of a cockney accent. I can't wait for you all to hear her. Me too Sheila, it's a lovely film. I haven't read the book. Awww... Patty, how sweet. I am tickled that you love my mashups. They are fun when they fit together like two pieces of a puzzle, especially when the characters retain their original personalities. It's like Kismet. Sophia, Thank you. It is very interesting how we approached the same classics in different yet similar ways. I love the happy coincidence of it! It's great that these authors are working together on this release, isn't it. I love the idea of these two stories coming together. Once you hear the concept you wonder why nobody did it before. It's so funny to think that it occurred to two people at the same time. Super excited to read this book! Beautiful cover and the mashup sounds like a lot of fun. Thanks for the giveaway! Priscilla, Thank you for your kind comments. You put a smile on my face and a song in my heart...."Oh wouldn't it be loverly?" It sounds like a fun read, doesn't it Priscilla. Good luck in the giveaway. P&P and My Fair Lady is a perfect mash-up. It will take a while to get used to Lizzy's new accent rather than being a gentlewoman, but I bet it will be hysterical. Will Freddie become Wickham? 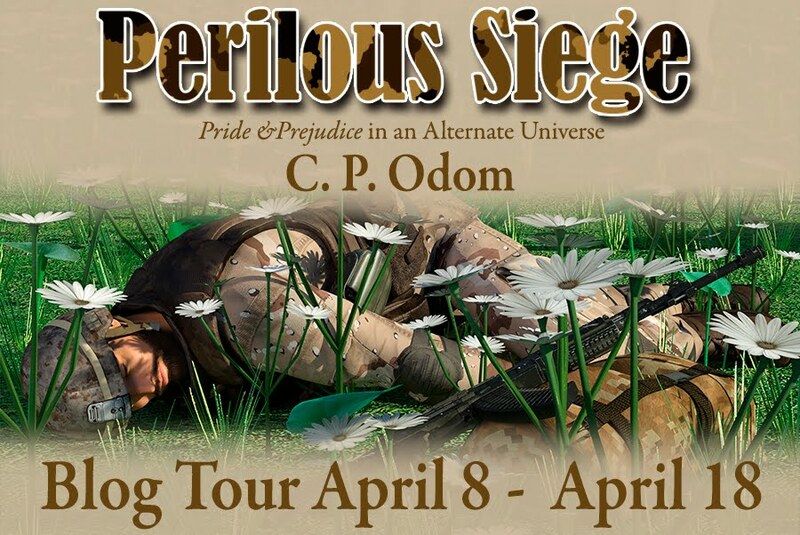 Thank you for the excerpt and giveaway. Eva, I tried to keep Lizzy's accent softened and only use it in the beginning or when she is teasing Darcy. BUT... my wonderful narrator is gently carrying the accent until the time when Lizzy blossoms into a noblewoman. It is such a treat to listen to. The audio version will probably be available late December. Oh,my,what a delightful idea! Lizzy,from the 'wrong see of the tracks',being tutored by the very prim and proper Darcy. I hope this doesn't blow up on everyone's face and that Darcy realises he loves the Lizzy he met initially,and not the one that fits nicely into the Ton's image of a lady! Best of luck with this book,Barbara! Cheers Ceri for this lovely post! Mary, That's an interesting twist. I hadn't thought of that. Hmmm. Thank you for the well wishes. Cheers! That's an interesting point, Mary, if somebody changes too much they can lose their spark. I don't think it will happen to Lizzy though. Loving this premise. Looking forward to reading it! Dung Vu, Thank you! I hope you enjoy the story. It's an entertaining concept isn't it, Dung. This seems like it will be a fun read. I think I will enjoy reading your (Barbara) book at the same time as I read Riana's book. Ginna, Thank you! I hope you enjoy them both. Though similar...they are different. Have a great day! That's a great idea, Ginna, and that's one of the upsides for the reader of these books coming out together, you can see how differently each author will approach the story. This book sounds delightful and Barbara Silkstone has such a great flare for comedy! Congratulations on another new release! I am tickled that you enjoy my sense of humor. Thank you! You have me intrigued. I look forward to this one! I hope you enjoy reading it Becky! I am aware that both you and Riana wanted to publish a P&P and Pygmalion mash-up within a month of each other's release through her blog. I'm glad that she decided to use an alternative title instead. 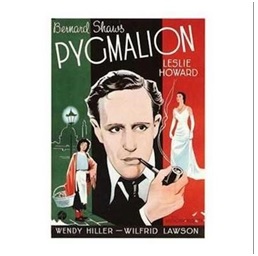 Pretty surprise that nobody thought of publishing a Pygmalion mash-up before. And when both of you do, you ladies thought of the same title. What a coincidence! It's so funny, isn't it Luthien. I was the same as you, wondered why nobody had thought of such a great idea before, and then surprised that it happened to two people at once.